The progress thus far of the movement for human rights is a reflection of the visionary and courageous individuals who are gifted with a deep understanding of the path toward liberation and who risk everything to consistently walk that path in all that they do. Dr. Gloria House is unquestionably one of those individuals. House’s literary work has sparked imagination and action, articulating passionate and compelling ideas, and honoring the impact, sacrifices, joys, and humanity of those who have dedicated their lives to the path of freedom. House’s activism has registered people to vote, helped lift the voices of the previously unheard, and awakened people to the hypocrisy and futility of war. Born in Tampa, Florida, House began expressing herself through poetry before her age reached double digits. She published her first books of poetry in the 1980s, including Blood River (1983) and Rainrituals (1989), both published by Broadside Press. In 2003, her third collection, Shrines, was published by Third World Press. Medicine, her most recent book, was published in 2017 as a joint endeavor of Broadside Lotus and University of Detroit Mercy Press. All of House’s poetry collections have been published under her chosen name, Aneb Kgositsile. During the Black Arts/Black Consciousness movement, House was among a community of artists that included poet Sonia Sanchez; poet and founder of Third World Press Haki Madhubuti; South African Poet Laureate Keorapetse Kgositsile; playwright Ron Milner; dancer-choreographer Jackie Hillsman; and poet and founder of Broadside Press Dudley Randall. House was also active in the free speech movement while attending UC Berkeley. After leaving university to teach in a freedom school in Selma, Alabama, she worked as a field secretary in the Student Non-Violent Coordinating Committee (SNCC). She drafted SNCC’s statement against the Vietnam War, the first public opposition to the war to be issued by a civil rights organization. 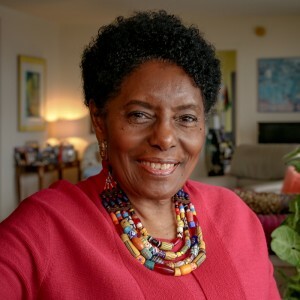 In Detroit, she co-founded the Detroit Coalition Against Police Brutality and the Justice for Cuba Coalition, and she participated as a teacher, administrator, and board member in the building of three African-centered schools. Active since the 1970s with Broadside Press, she was lead editor of A Different Image: The Legacy of Broadside Press, which won the Michigan Notable Books award in 2005. For over 40 years, House taught at the university level (Wayne State University, University of Michigan-Dearborn, University of Witwatersrand in South Africa), and as a volunteer in classes for elementary and high school students in Detroit’s Afrocentric independent schools. She co-chaired Wayne State’s Black Caucus, and designed UM-Dearborn’s curriculum for African American and African Studies (AAAS) and served as the program’s director. Upon her retirement, House was named professor emerita at UM-Dearborn (2014) and associate professor emerita at WSU (1998). Her contributions to future generations of artists and activist extends beyond the classroom, as she has consistently collaborated with and mentored young Detroit writers. House’s contributions as a writer and activist continue. She is active in local efforts to end water shutoffs, in the Detroit Independent Freedom Schools Movement’s effort to provide classes in African American culture for Detroit students, and as co-editor of the quarterly print publication, Riverwise. May we all be as bold in our vision and courageous in our convictions as Dr. Gloria House, and march together until victory is truly won.